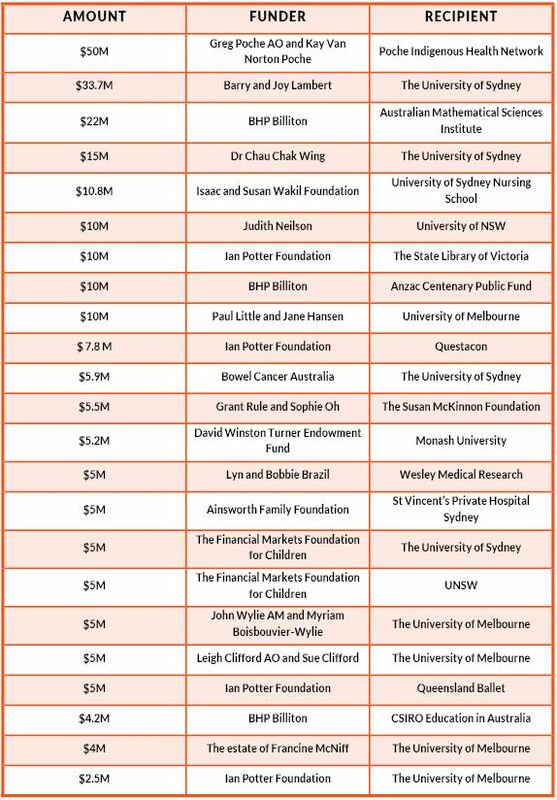 Australia’s biggest philanthropists overwhelmingly favoured universities when it came to sharing their wealth in 2015. Figures obtained by Pro Bono Australia News show that of the biggest philanthropic gifts made last year, major Australian universities shared in more than $117 million. The largest known gift of 2015 was made by Greg Poche AO and his wife Kay Van Norton Poche, who donated $50 million to the Poche Indigenous Health Network. The Poche Indigenous Health Network was established by the couple in 2008 with the aim of helping to close the gap in life expectancy and achieve health equality for Aboriginal and Torres Strait Islander people. Their donation of $50 million in May last year established a network of six independent centres of research and study focused on Aboriginal and Torres Strait Islander health. 2015 did not see the scale of gifts made in 2014 with record gifts seeing that year declared as the year of the “mega gifts”. But Philanthropy Australia CEO Sarah Davies said 2015 was still a good year for giving and a “culture change” was taking place. 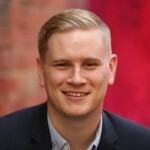 “Just because major gifts didn’t hit the news like they did in 2014, does not mean they are not happening – we’ve still seen some amazing acts of generosity which will certainly have a big impact,” Davies said. Davies said younger people were also joining that philanthropic space. “Since starting with Philanthropy Australia in October 2015, I’ve met with a large number of our members, including the opportunity to meet with very new philanthropists, some of whom have made their wealth whilst quite young and are already highly philanthropically active and looking at how they can make a contribution to changing our community for the better,” she said. Greg Poche, who started logistics firm Star Track Express and sold it for an estimated $750 million in 2003, is no stranger to philanthropy. In 2014 he and his wife also donated $10 million each to the University of Melbourne and the University of Queensland. In 2015 retired financial services businessman Barry Lambert and his wife Joy were inspired by their granddaughter’s battle with epilepsy to donate $33.7 million to the University of Sydney to develop pharmaceutical drugs from cannabis plants. In April BHP Billiton donated $22 million to the Australian Mathematical Sciences Institute to fund the institute’s Choose Maths project, a five-year program to encourage girls to study maths and statistics. Of the known major philanthropic gifts in 2015, more than $117 million was given to universities, mainly the University of Sydney and the University of Melbourne. In 2013 the University of Melbourne launched a fundraising campaign, with the goal of raising $500 million. More than 19,000 donors ranging from 18 years old to 102 years old have since donated to the institution.